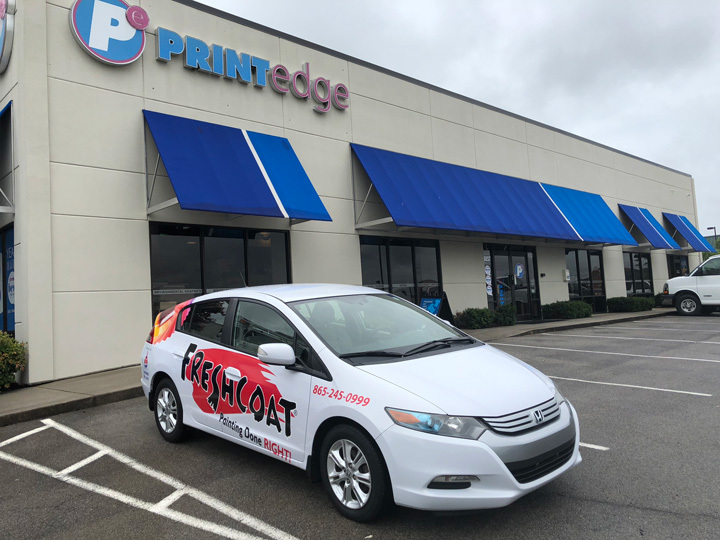 All of Knoxville's finest Vehicle Graphics on display in one location! Click on a thumbnail below to read more information about each project. 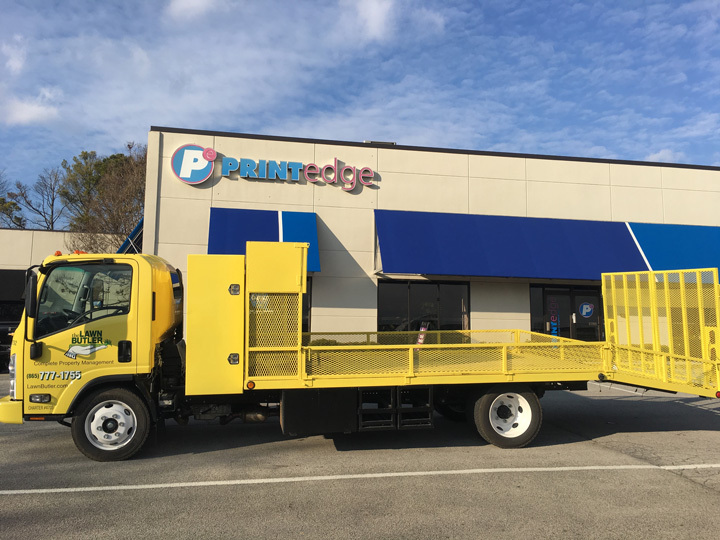 Part of this truck from Lawn Butler Inc. came to us painted yellow, while other sections of it were stock white. 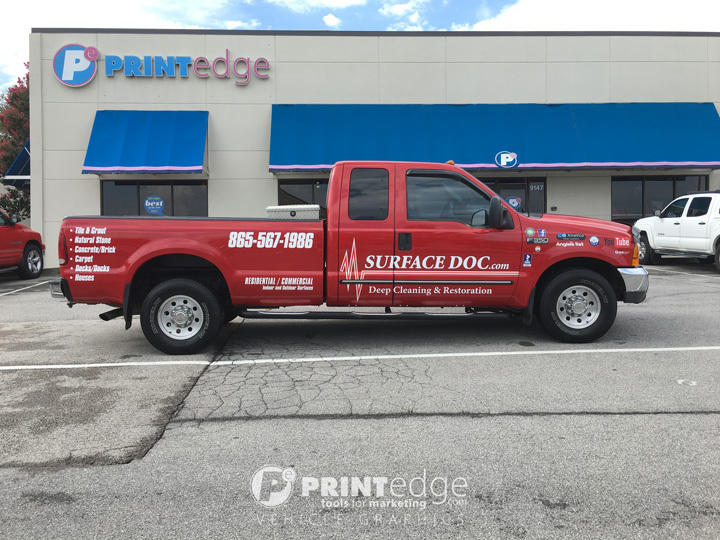 Our #VehicleGraphics department did a great job tweaking colors to produce an exact match to the existing painted color. Can you tell what we wrapped vs. what was already painted? 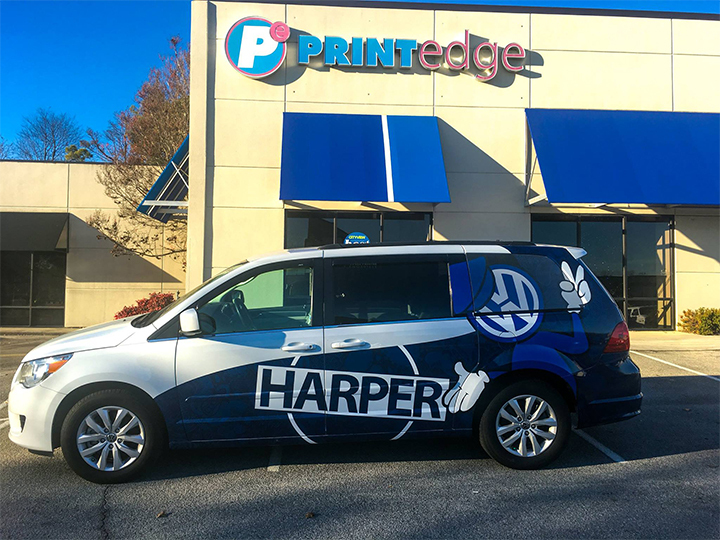 Check out these groovy #vehiclegraphics we designed, printed, and installed for Harper Volkswagen. There's a great little floral pattern that becomes visible at a close distance and makes this a truly sweet looking ride. Throw up a peace sign to them if you see her out on the road! We've had the privilege of building a great working relationship with Jacobs Insurance Associates, LLC and were excited to hear that Glenn was putting his hat in the mayor's race. 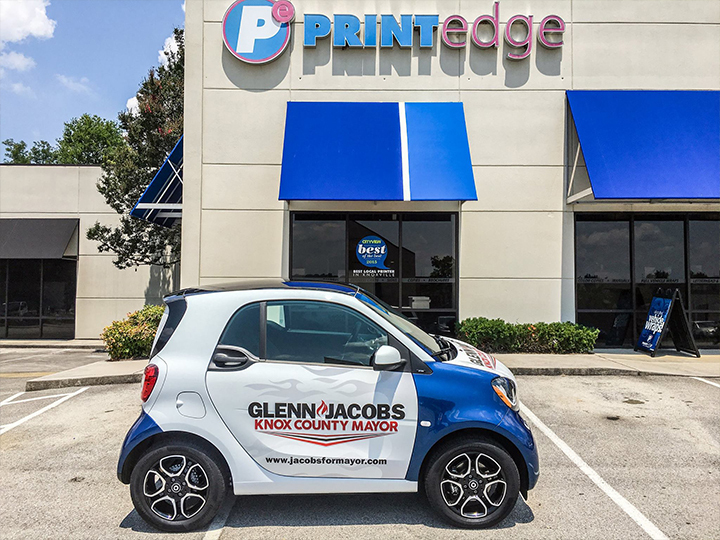 So when he asked us to dress up this new Smart Car with some #vehiclegraphics, we were happy to oblige! Remember back in the good 'ol days when things were made well, service was top notch, and corners were not cut at the expense of quality work? 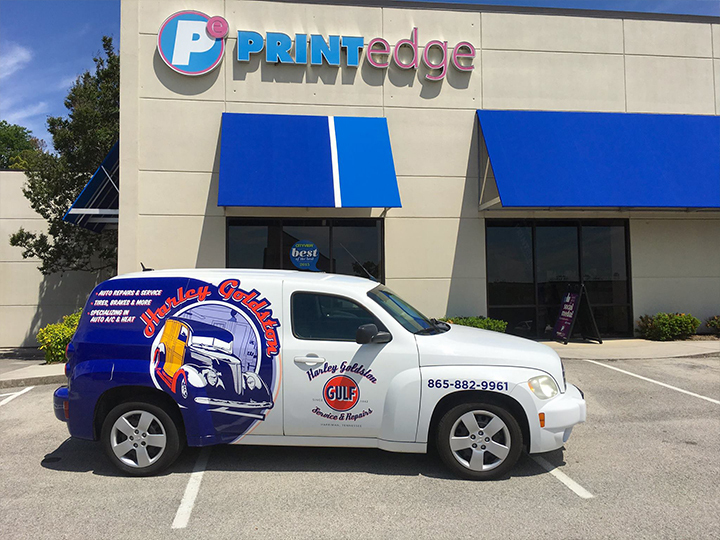 That's the idea Harley Goldston Service & Repairs wants to present with their newest #vehiclegraphics. Give them a call today for your automotive needs! We're obviously big fans of designing and installing beautiful full wraps on vehicles. But what if your budget doesn't allow for such a stunning transformation? Fear not! 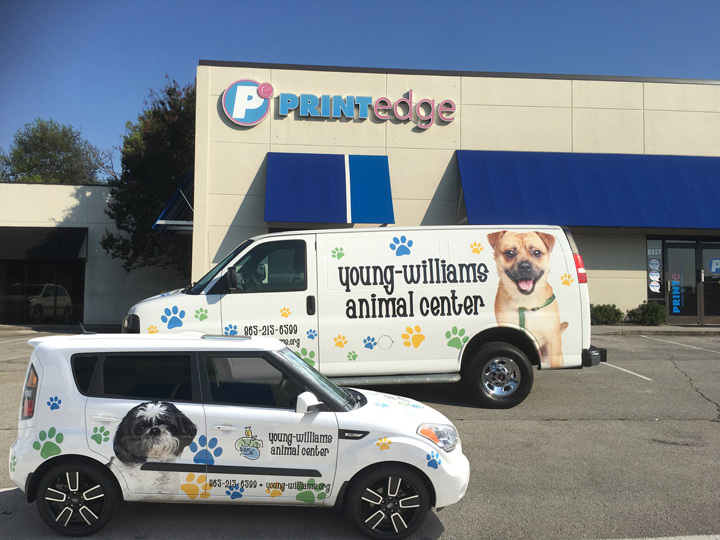 We can use your vehicle's base color as a major player in producing stunning #vehiclegraphics without having to totally wrap it. This not only reduces cost, but turnaround time as well. 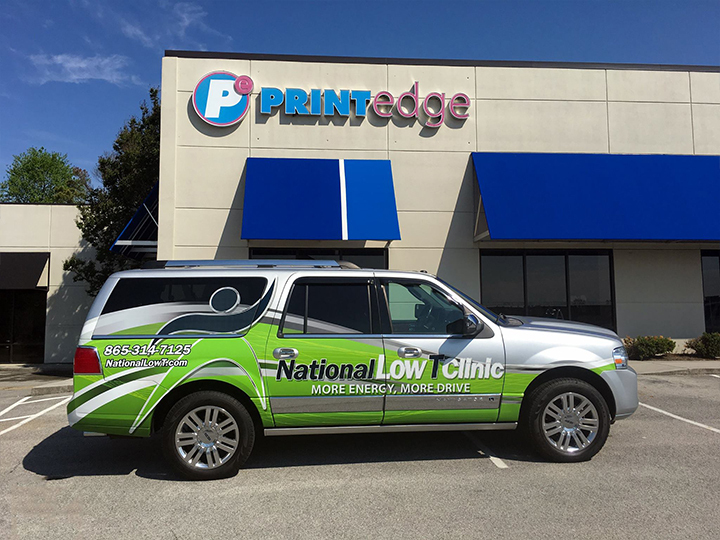 This vivid design our team designed and produced for National Low T Clinic perfectly incorporates the vehicle's original silver color in the palette to produce a very attractive ride! 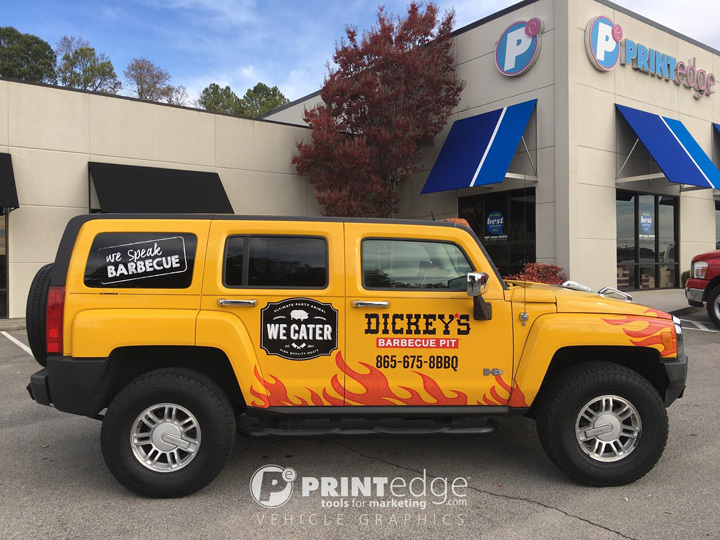 Here are some delicious #VehicleGraphics we recently installed for low + tritt and Dickey's Barbecue Pit - Knoxville, TN. Who's ready to eat? !